The All England Lawn Tennis Club, the host of the Wimbledon Championships each summer, is putting video at the heart of its 2016 brand campaign, but the venue faces challenges in the form of negative stories around tennis and a clash with football's Euro 2016 tournament. Last year, Interpublic Group won a four-way global agency pitch to handle the promotional activities for the 130th Championships. 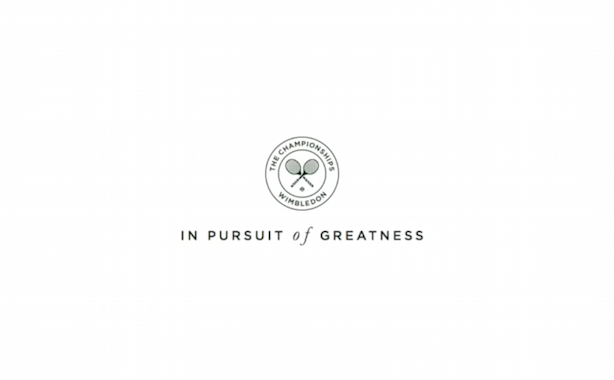 After months of preparation, involving creative agency McCann Erickson, media and ad agency Universal McCann and the AELTC, the In Pursuit of Greatness campaign was born. Launched as a video series, the campaign is running across all Wimbledon social media channels and is being promoted by AELTC commercial partners, such as IBM. The aim is to show the heritage of the tournament and provide fans with never-before-seen insight into its preparation. A key objective for the AELTC this year is to increase its global audience by establishing a footprint across China, South-East Asia and the US. "Around the world, particularly in China and South-East Asia, people know that Wimbledon is a tennis tournament but they don’t know what is unique about it. Our campaign is designed to bring traditions to life – from the way the grass is grown to flowers, strawberries and the ballboys and ballgirls," Alexandra Willis, AELTC head of comms, content and digital, told PRWeek. "To engage with a Chinese audience, we’ve integrated a tennis game into the WeChat app and also explored placing scores into it. This year is the first time we’re carrying out paid media activity in the US and we have also developed the concept of ‘Wimbledon weekend’ as a first step to help get people excited about the tournament during the finals." Willis outlined key challenges to overcome, which could impact the reach of Wimbledon this year. Viewing figures are expected to take a hit as the tournament clashes directly with the Euro 2016. However, the AELTC has partnered with UEFA to ensure cross promotion of sporting events in an attempt to mitigate this. Match-fixing allegations at the start of the year and the fallout from the doping scandal surrounding tennis golden girl Maria Sharapova are also casting a shadow over the sport, but this is something the comms team is prepared for. "We’re aware of where tennis is this year. It’s had some challenges in terms of allegations made about integrity and issues around doping. What’s important to us is make sure that Wimbledon is doing everything it can as part of the tennis family to address those allegations and play our part in ensuring the integrity of the sport," Willis said. One area where Wimbledon has continued to excel is in its innovative use of technology. The 130th Championships mark the 27th year of partnership between the AELTC and IBM, and a range of new features have been rolled out. "Every year we evaluate what we can improve on with the idea of introducing step-change developments, incremental improvements and some sort of innovation," Willis continued. Together with IBM, the focus for 2016 has been to push multiplatform engagement and personalised experiences. One of the headline features is the introduction of an Apple TV app for Wimbledon, developed by IBM Interactive Experience. This allows users to browse real-time scores, watch the Live@Wimbledon studio show, listen to multiple live radio broadcasts and view video and photo content on a big screen. "The Apple TV app is interesting. The video is very important but we felt there was opportunity to make use of big screens to offer up additional content such as photos, scores and radio coverage," Willis said. Other enhancements include the launch of redesigned iOS and Android apps. These provide an enhanced experience for visitors onsite at Wimbledon, including personalised messaging and an automatically curated 'Wimbledon Story' from photographs, which can then be shared on social media. Finally, there’s the launch of the Cognitive Command Centre, which uses IBM’s artificial intelligence technology Watson. This gathers data from multiple social media channels and then flags emerging topics of conversation about Wimbledon and other concurrent sporting events such as Euro 2016, providing never-before-seen insights to the digital editorial team.